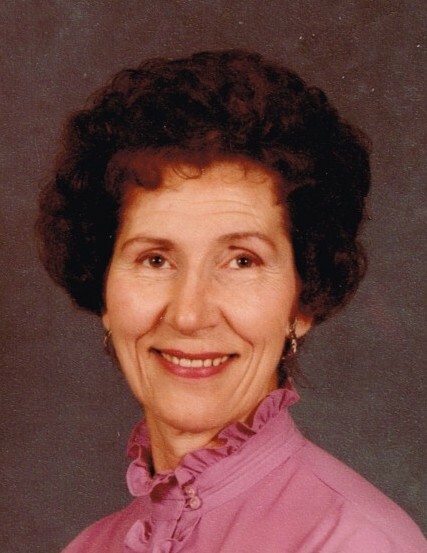 M. Cleo Burk passed away peacefully Wednesday morning, June 20, of complications following a recent stroke. Cleo was born November 5, 1922 in Victor, Idaho to Scott Miller Daniels and Leona Jessie Sinclair Daniels. She was the third of seven children. Cleo spent her formative years at the family ranches near Victor, Idaho and Jackson Hole, Wyoming. Growing up in such a spectacular setting, Cleo had a wonderful childhood with her siblings and enjoyed life on the ranch. Cleo loved the Teton Valley and was immensely proud of her pioneer heritage. Cleo graduated from Victor High School and attended one year of college at Idaho State University. While in Pocatello, Cleo met and fell in love with a handsome young man named Fred Burk. Fred and Cleo were married January 4, 1942 at her family home in Victor. The weather was so bad, her Dad had to pull the car out of a snow drift. They were later sealed in the Idaho Falls Temple in November 1947. Shortly after their marriage, Fred was drafted into the Army to fight in WWII. While Fred was stationed in the Aleutian Islands, Cleo gave birth to their first child, Leona Janene. Six children followed over the years: David Freddy, Steven Thomas, Mark Daniels, Val Aaron, Gregory James and, finally, Felicia. Fred and Cleo eventually made their home on 40 acres near Tyhee, Idaho. They were long-time members of the Tyhee 7th Ward. Cleo was the consummate homemaker. She fed and clothed seven children on limited means, occasionally worked outside the home to bring in extra cash and generally made do with what she had. She was an excellent seamstress and quilter. She grew an enormous garden and would can and preserve everything it produced. She loved flowers. Cleo gave her children, grandchildren and great grandchildren a priceless legacy of hard work and perseverance. Cleo loved to sing. Her home was a place of music. She performed in countless church meetings and at weddings and other special events. She loved listening to the Mormon Tabernacle Choir. Most car rides with Cleo usually involved some sort of singing or humming. Cleo was a stalwart, life-long member of The Church of Jesus Christ of Latter-day Saints. Over the course of her life Cleo served in every available calling – from nursery to primary to Relief Society. She also served a full-time senior mission to Denver, Colorado. Cleo had an unshakeable testimony of the Gospel. Her family takes comfort in knowing she has now been reunited with her husband Fred and her son Dave and other members of her extended family who passed on before her. Cleo spent the last 19 years of her life as a resident at Cottonwood Cove in Pocatello. True to her nature, she organized and conducted a weekly singing group at the Cove, planted flowers, was active in the DUP and took advantage of regular bus trips to the Idaho Falls Temple. Cleo was preceded in death by her parents, her brother Gerald, her sisters Eris, Truth and Mary, her brother Scott, her husband Fred, her son Dave, eight grandchildren and two great grandchildren. She is survived by her sister Norma Gustafson(Gus), children Jan Sasinouski, Steve, Mark (Charlene), Val (Cecelia), Greg (Irene) and Felicia Hawkins (Boyd), twenty-one grandchildren and sixty-one great grandchildren. 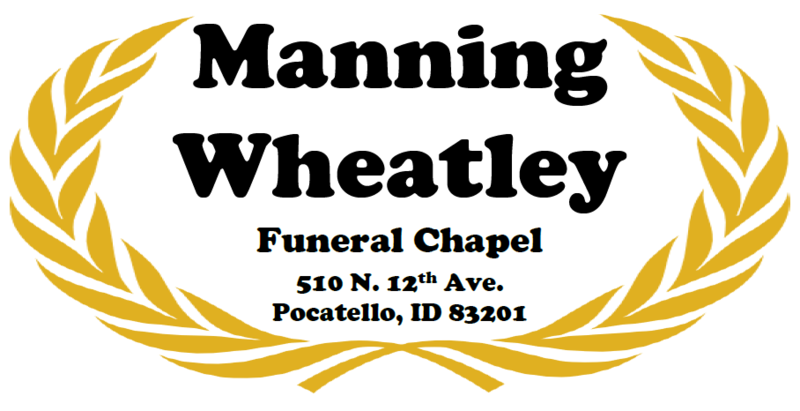 A viewing will be held Friday evening June 22, 2018 from 6:30 to 7:30 at the Manning-Wheatley Funeral Chapel, 510 North 12th Avenue in Pocatello. Services will be Saturday morning, June 23, 2018 at 11:30 at the LDS Chapel on the corner of Quinn and Hawthorne Roads in Pocatello. Cleo will rest beside her husband in the Victor Cemetery in the shadow of the Tetons.